June is looking like it's going to be the best month for the fly rod. Although many high elevation streams and rivers are still running high, stillwaters that have been at record lows due to the drought have filled back up. My schedule is looking quite full for this month so I'll have to pick and choose where I want to go despite wanting to go everywhere for at least a full day. Putah Creek can be a tough fishery in the summer but it is the most productive trout stream near me at the moment, it's either learn to fish it or don't fish at all. 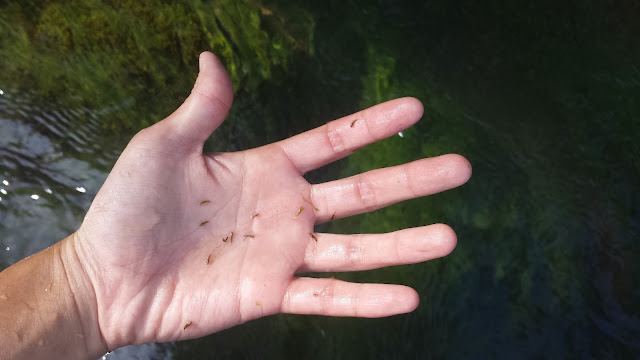 In the book Caddisflies by Gary Lafontaine, Mr. Lafontaine observed that aquatic insects that were at their time of hatching would dislodge from their holding place to a new location in efforts to survive through geographical diversification. This theory can explain why the fishing can be slow in the summer as aquatic insects tend to be active mostly during the mornings and evenings versus during the spring when they tend be active throughout the day. Putah Creek is no exception to this theory. 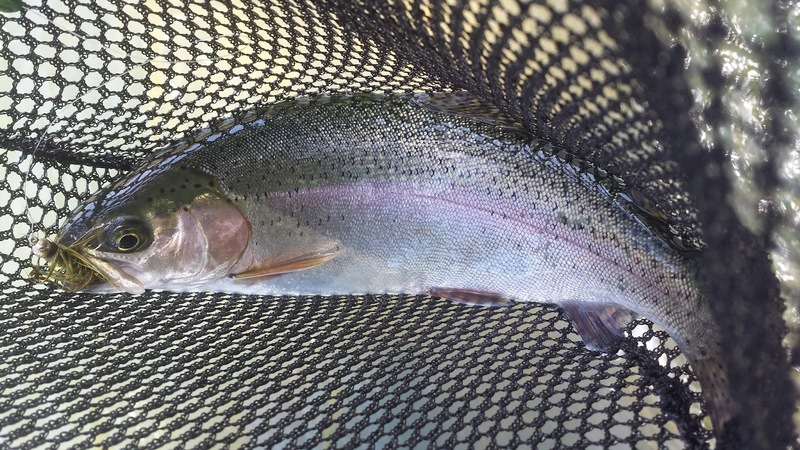 Throughout the morning on Putah I fished areas that were productive during my visits in the spring. Midges were my only clue above the surface and as I waded through the weeds I picked up a nice chunk of green and found hundreds of BWOs. There was plenty of food in the creek so where were the fish? I tried different flies after covering an area with my go-to patterns but no takes. This helped me realize that it was my location not my patterns. I switched back to my go-tos and tried a new area. 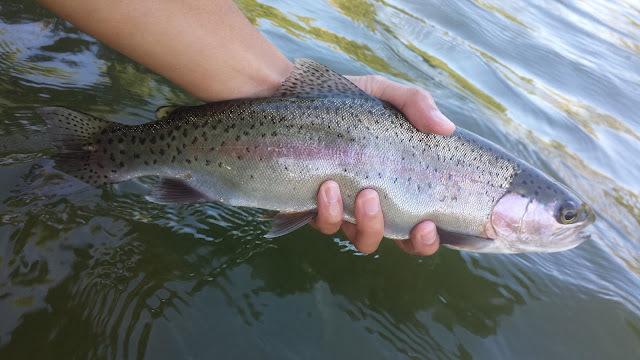 I finally got a grab after making my way downstream. The weeds made setting the hook difficult but I managed to land two out of the four I hooked. Unsatisfied with nymphing, I tied on a woolly bugger and started stripping a streamer. I got two good grabs with one landed. If I had my streamer set-up I probably would have done better. Nothing big this trip but solved nonetheless.